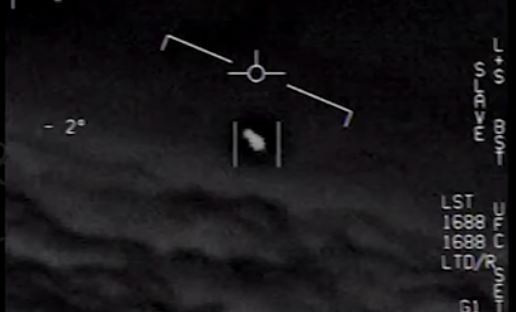 Screenshot of official US Navy UFO Video recently declassified and released. Photo credit Department of Defense and To The Stars Academy of Arts and Science. MAINE – In light of news in recent weeks that the United States government spent $22 million on a government program to monitor and investigate sightings of Unidentified Flying Objects at the urging of former Senate Majority Leader Harry Reid, Maine Examiner took a dive into the logs of the National UFO Reporting Center over the past decade to examine reports coming out of Maine. Not surprisingly, a large share of Maine’s reports come from areas near major airports, such as in the Portland and Bangor regions, and some are attributed to existing factors such as the International Space Station being overhead at the time, but a fair number of the 530+ reports remain unexplained. County by county analysis of all reports to the UFORC from Maine show Cumberland County logging the largest number of reports with 105, followed by York County at 103 and Penobscot County with 63. A number of counties reported very few unidentified flying objects as well, including Lincoln and Piscataquis County reporting just 8 sightings per county over the ten year period. Below is the list of reports by county, ranked from most reports to least. Most of the reports are simple oval, round or triangular shaped lights in the sky, sometimes speeding away or disappearing in bursts of light. The reports range from sightings lasting only a second or two to sightings lasting as long as three hours. Most often, the reports indicate the UFO was witnessed for a few seconds to one minute. One report from Hancock, Maine on February 8, 2010 says an elderly woman was “floated” to her vehicle one night by three tall “doctors.” The report data says a cylindrical UFO was reported in conjunction with the incident.